Vince McMahon has made an undeniable impact on professional wrestling over the years, so it was no surprise when word broke this past week of a biopic tentatively titled Pandemonium. The word was frequently used by the “Chairman of the Board” back when he was selling himself to WWE fans as a lowly announcer. The truth of who Vince McMahon really was couldn’t have been more opposite, however. While calling matches and fashioning a reputation as the king of the false three-count — “And he got him! No, he didn’t! He kicked out at two!” — McMahon was a king-maker behind the careers of wrestling greats Hulk Hogan, the Ultimate Warrior, “Stone Cold” Steve Austin, and Dwayne “The Rock” Johnson, just to name a few. During the Rock and Austin run — what most fans refer to as the “Attitude Era” — Vince finally took it upon himself to evolve beyond the commentators’ desk. 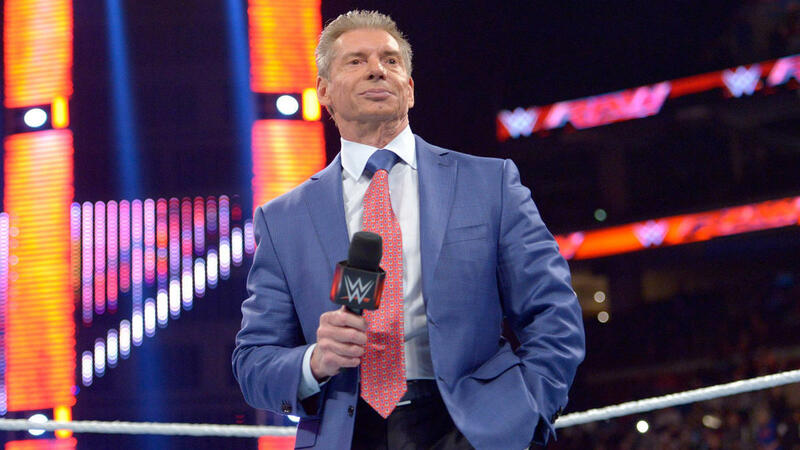 During his career, Vince McMahon has redefined an industry and taken professional wrestling from its territory days to the globally-renowned “sports entertainment” behemoth that it is today. Some love him, some hate him; but no one can say he didn’t make an impact. It was only matter of time before someone decided to put things on film, but in so doing, Hollywood has raised an interesting question. Who could possibly play him? Here are some possibilities. Wrestling journalist Court Bauer, on Episode 276 of the acclaimed MLW Radio podcast, suggested one name only for the role. Daniel Day-Lewis. Day-Lewis is often seen as the go-to actor that people name for difficult parts. He has won three Academy Awards (My Left Foot, There Will Be Blood, Lincoln) while being nominated for two others (In the Name of the Father, Gangs of New York). Bauer specifically singles out the performance in There Will Be Blood as being a version of Vince McMahon. It has been a very long time since Alec Baldwin has stepped into a serious acting role, but with him winning wide praise for his portrayal of President Donald Trump on Saturday Night Live, this could be a possibility. One thing that could make it unlikely, however: Vince McMahon and Trump are good friends in real life. The fact Baldwin has taken so many close-to-home shots at Trump and the fact that, at present, Pandemonium has Vince’s blessing could prove to be too big a clash. Keaton’s career has enjoyed a resurgence — at least in the critical department — with turns in Birdman, Spotlight, and The Founder seeing wide praise. He doesn’t have the physique of bodybuilder Vince McMahon, but a lot of that could be circumvented through physical training and movie magic. After all, he did once play Batman. Keaton is in his 60s and still in good shape physically, plus he lacks the polarizing credits of a Baldwin. Liotta is right in the age department, and he’s closer in size to the real Vince McMahon. He also has a history playing real characters — see his Frank Sinatra in 1998’s The Rat Pack or his most widely praised and suitably unhinged performance as Henry Hill in 1990’s Goodfellas. Cage is younger than the real deal, but now in his 50s, he could easily overcome that setback. He is often criticized for overacting, but the nephew of Godfather filmmaker Francis Ford Coppola has also earned his share of accolades with an Oscar-winning performance in Leaving Las Vegas and widespread praise for films like Bad Lieutenant: Port of Call New Orleans, Wild at Heart, Moonstruck, and Raising Arizona. He also once almost starred as Superman and has a pretty solid frame, making the physical demands of the role more realistic. Which of these potential Vince McMahon actors would you pick, and are there some better choices out there you would add to this list? Sound off in the comments section below.